It is always pleasure watching movies but figuring out what to watch next is a difficult experience. 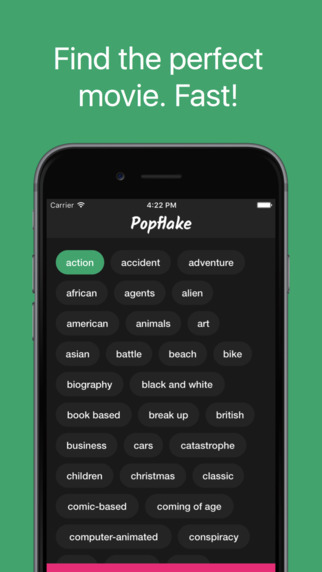 Now this popular Popflake for iPhone app has made just easy for everyone. Endlessly scrolling through iMDB ratings and searching for movies on your laptop makes life difficult. Popflake is trying to make the process so simple for all. You could tap a few of the things you like about movies and it comes up with relevant suggestions from its quality database of hand-tagged movies. The appropriate suggestions are impressive and accurate. When I actually tried searching for a movie with the keywords like magic, crime and money, I got recommended Now You See Me, which makes good sense. Since every movie is manually tagged by the community the database isn’t very big yet, but for now it’s already amazing, quick way to kick starts your next movie night. 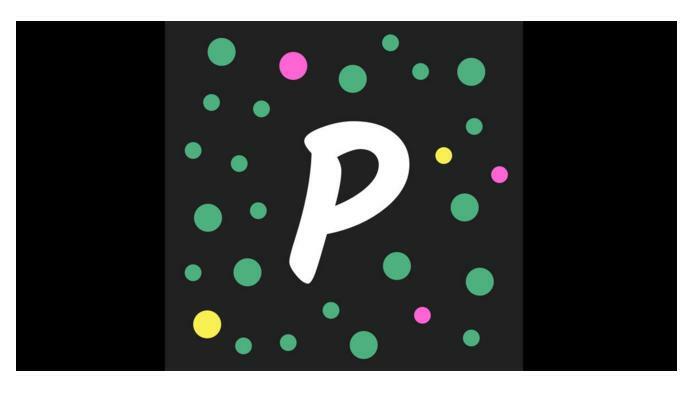 Altogether Popflake is your go to app when you wish to watch a movie. Whether you like to go to the cinema, stream a movie, rent or buy one. They offer an easy to use keyword search for you. It is possible to gently press the keywords that describe your mood, a country the movie should play in, a kind of plot or a general movie cadre. A good instance would be; horror, students and forest. It is revealed that every movie in database is “hand-tagged”. This is why the database comprises not so many movies. There are many beneficial aspects of this app. The users could easily click on a keyword that sounds compelling. You could repeat until movies appear or you think the keywords describe what you want to watch. A movie details view appears which presently comprise a movie rating top right corner, a simple way to share that movie with friends, the movie title, the year of the release and the movie age rating. You also experience a chat bubble in the middle of the screen under the movie title. The desktop email clients are great for when you require managing multiple accounts from several providers. If that sounds beneficial for users and you’re running OS X, you could Airmail for iPhone a try. The app has been professionally updated with lot of beneficial new features. You’ll now find that it provides smart folders, as well as the ability to permit notifications only from select contacts that you add to a list. Moreover users could schedule emails to be sent at a later time, and customize gestures as well as keyboard shortcuts with apt menus for greater control over the app. 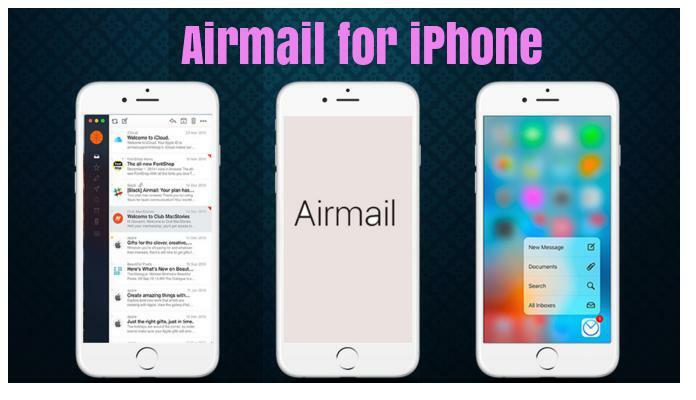 Airmail for iPhone was launched recently. If users use that, you could have your VIP contacts synced between your devices to better manage your notifications. For benefit of users the app is available for $9.99 in the Mac App Store; existing users could easily upgrade to version 3.0 with all new features for free. Airmail, the powerful desktop email client for Mac, has wholly satisfying users of iPhone. 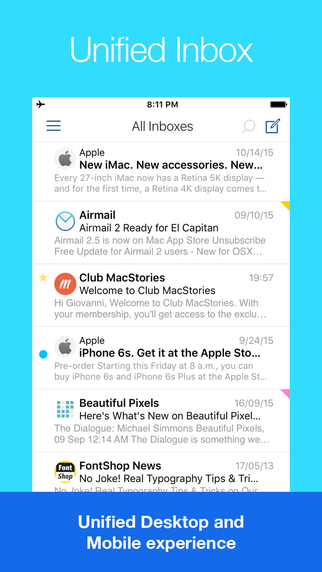 Airmail for iPhone brings much of what users might like about the desktop client. In addition to the normal email app features like aggregated inbox, bulk delete are worthwhile. Airmail also makes good use of some newer iOS-y things like 3D Touch both on the icon and in-app. Airmail also permits you to integrate third-party services like Google Drive, Trello, Fantastical and Wunderlist. This app is perfectly designed for the latest generation iOS and iOS 9, it supports 3D Touch, fast document previewing, high quality PDF creation, and native integration with other respective apps of qualitative services for a friction less workflow. The workflow customization is at the core, with beneficial rich feature set like namely as snooze, interactive push notifications, and full inbox sync. Moreover the iCloud sync offers a fully quality experiences so that all your accounts and app preferences are synced.